This Saturday 6th October almost 5,000 runners, joggers, walkers and spectators will descend on Galway City for the annual Run Galway Bay 10k, Half Marathon and Marathon which starts and finishes at Nimmo’s Pier, The Claddagh. The popularity of the event has surpassed all expectations with the full marathon selling out in July, followed by the 10k and Half Marathon, which sold out at the end of August. One of the highlights of this year’s event is the announcement that the 1972 Olympic Marathon Champion Frank Shorter (US) will be lining up in the 10k along with his wife Michelle. Frank Shorter is the USA’s most prolific long-distance runner, taking gold in the 1972 Olympic Marathon and silver in the 1976 Olympic Marathon. Also making the trip this year is Irish Olympian Caitriona Jennings who will be chasing her first win in Galway for the Half Marathon. 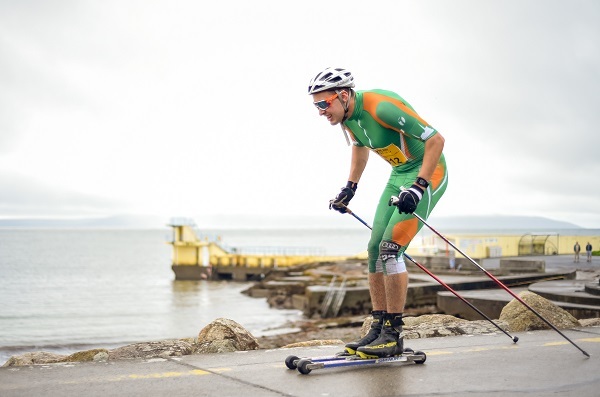 The event has also attracted the interest of the Irish Cross Country Skiing Team who will, for the second year, set the marathon route alight on their roller skis. Included in that lineup is Irish OlympianThomas Maloney-Westgaard the Norwegian native with Galway roots who will defend his title as fastest roller skier on the day. 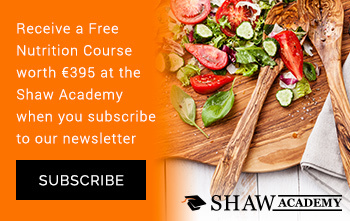 Participants travel from all over the world to enjoy the fast, flat and fun route along the stunning shores of Galway Bay. Many are making the trip to Galway especially for the event, including teams from the UK, Norway, The Netherlands, Germany, Spain, the US and Australia to name but a few. Closer to home, hundreds of athletes from across Ireland will travel to Galway to enjoy the race day experience of this iconic sporting event on the Wild Atlantic Way. Included in the line up for the 10k this year are Mayor of the City of Galway Councillor Niall McNeilis and local TD Hildegarde Naughton. Also taking part in the 10k is young Dubliner James Casserly, who has cerebral palsy and juvenile arthritis, he will be pushed in his chair around the course by his dad and supported by his mum and aunties, all to raise funds for Barretstown. 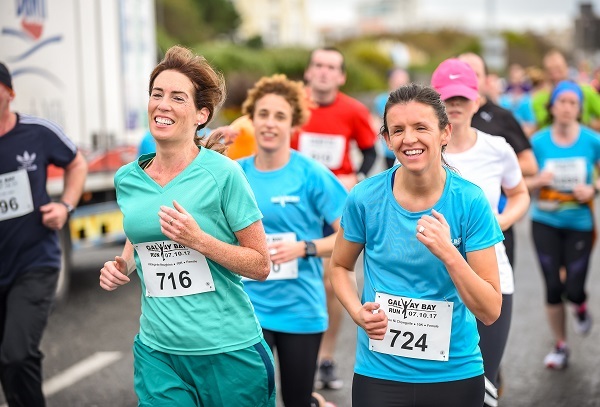 Returning to Run Galway Bay for a second year are a 200 strong team from Eir who will participate across all distances in support of their chosen charity, Special Olympics. Joining the team from Eir is Special Olympics Ireland CEO, Matt English as well as athlete Aoife Beston. Also participating in the event are a team of staff from TG4 including Director General Alan Esslemon. 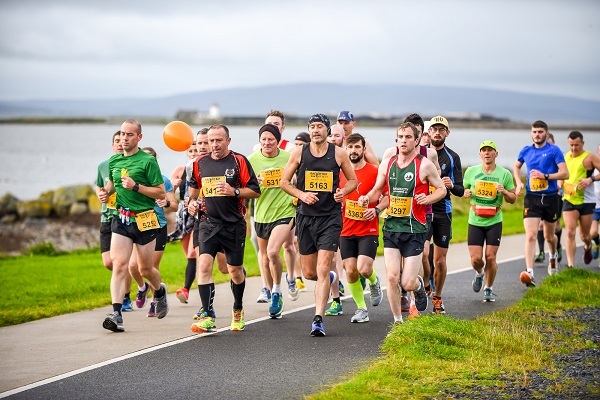 Many of the teams and individuals participating in Run Galway Bay use the event to generate support for their own charitable causes, raising vast amounts of funds for supports and services both here in Galway and further afield. Race Director Ray O’Connor speaking about the event said, ‘We are looking forward to a fantastic race day on Saturday. Run Galway Bay has grown in size and popularity over the past number of years, the spectacular route, the support on the course and the welcome the athletes get when they come to Galway are all very special and just some of the many reasons people return to take on their own personal running challenge with us each year. Run Galway Bay gets underway at 8:30am with the Full Marathon, the 10k will start at 10:30am and the Half Marathon will start at 12:15pm. Roads will be closed Westbound only from 8am -2:30pm along the race route of Grattan Rd and Salthill Promenade for the duration of the event.